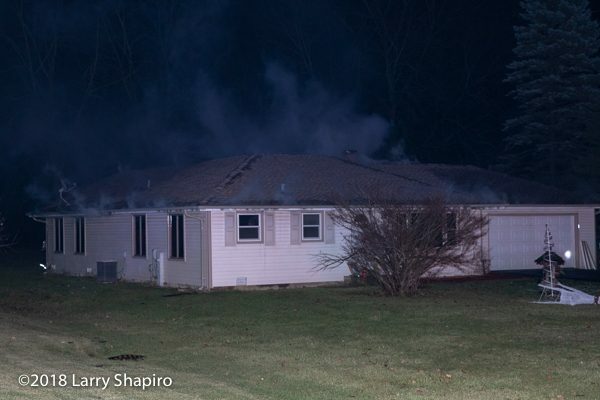 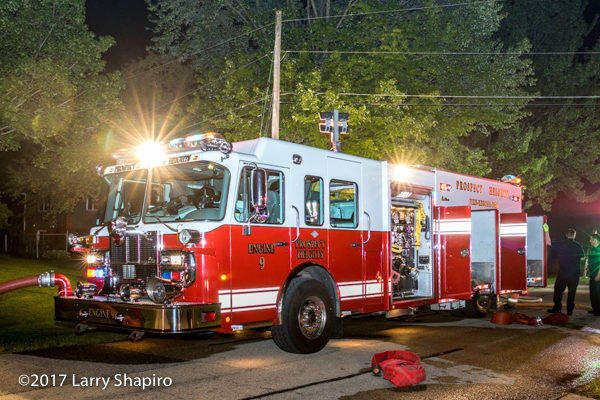 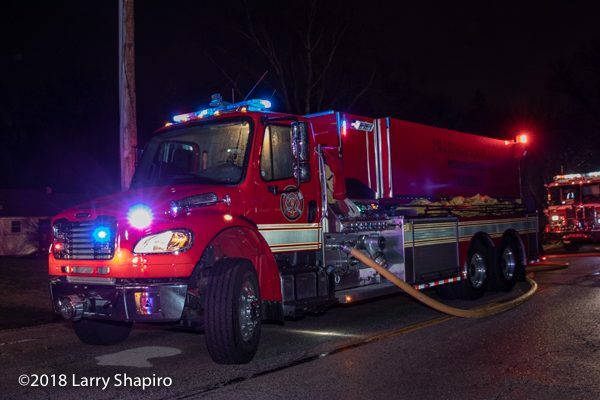 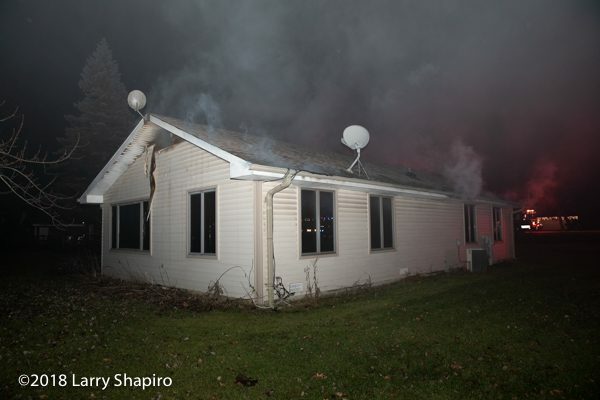 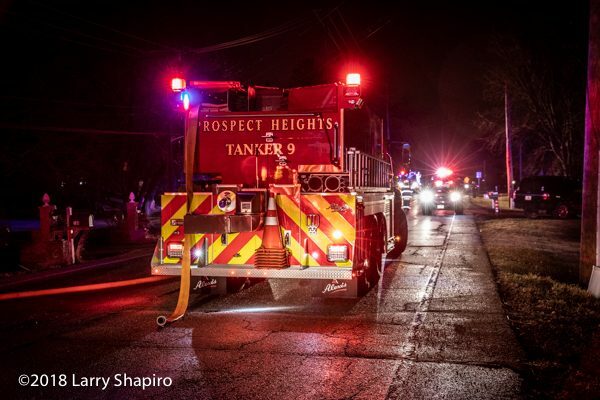 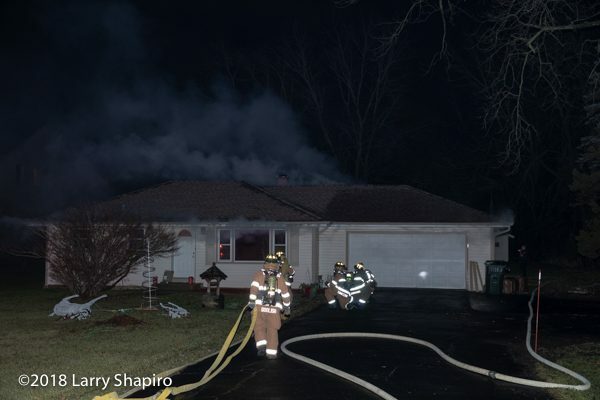 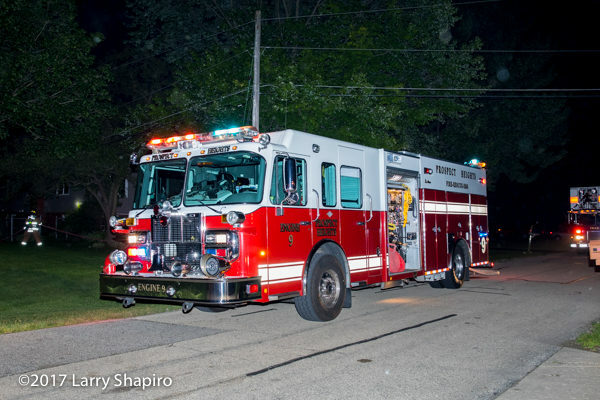 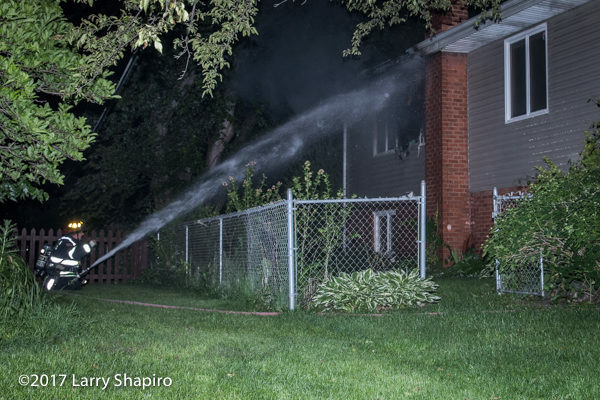 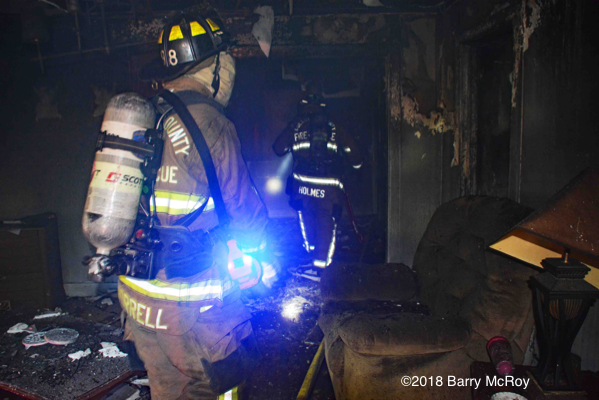 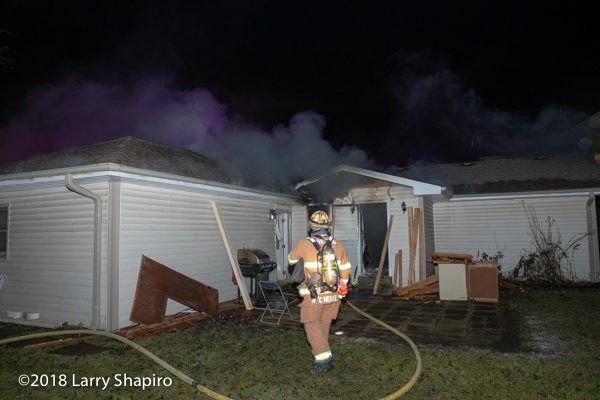 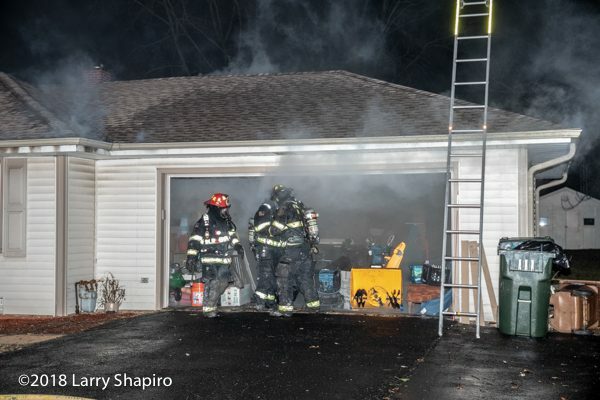 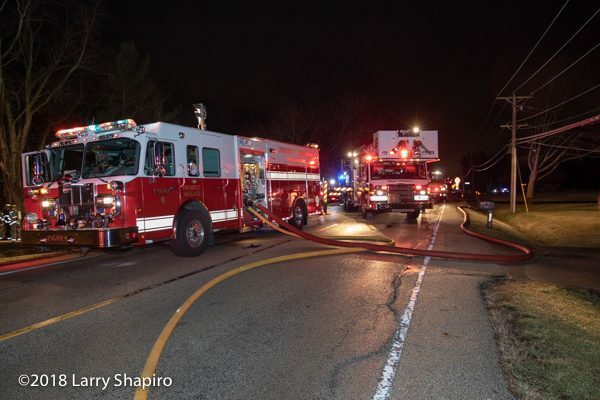 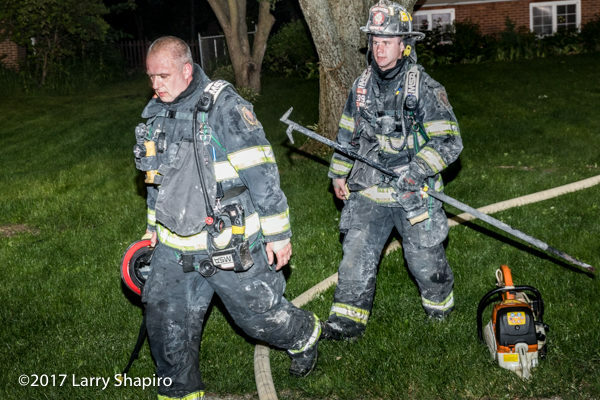 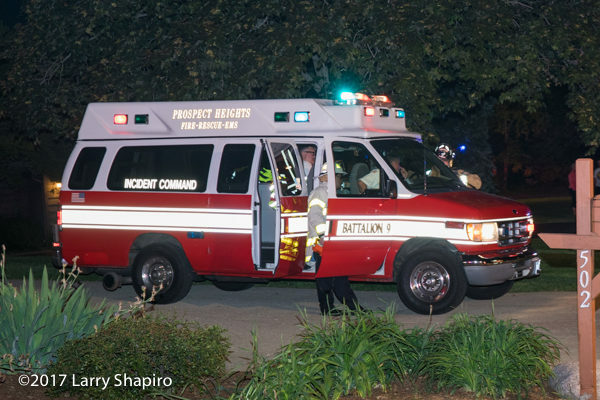 Prospect Heights (IL) firefighters were dispatched at 25 minutes after midnight to a reported fire at 107 North Schoenbeck Road after a passerby spotted smoke coming from the roof area. 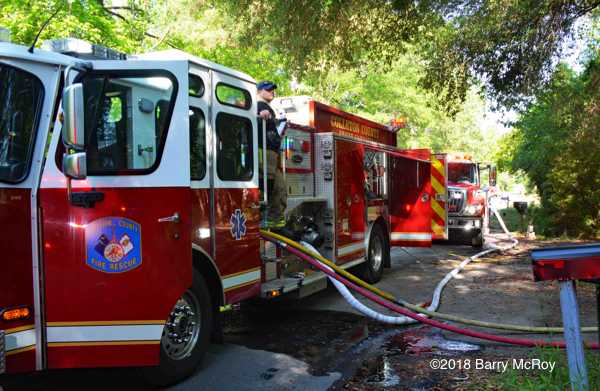 Upon arrival, firefighters discovered the building was charged with smoke and smoke was coming from multiple areas of the roof. 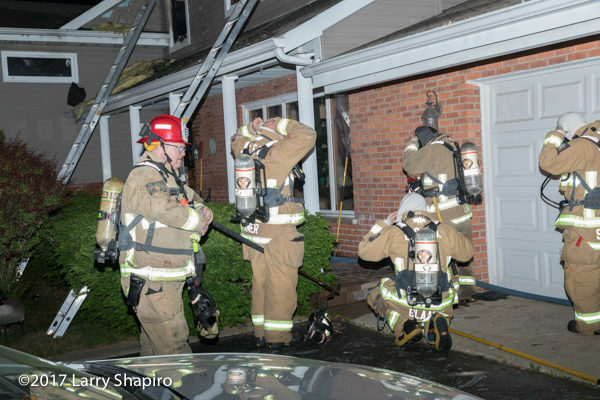 A quick search of the building determined it was unoccupied and the fire was in the crawlspace. 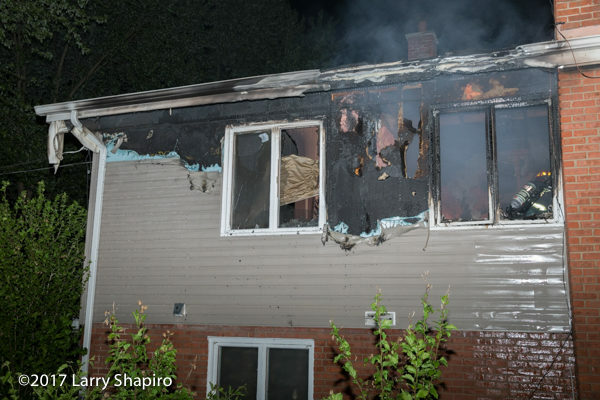 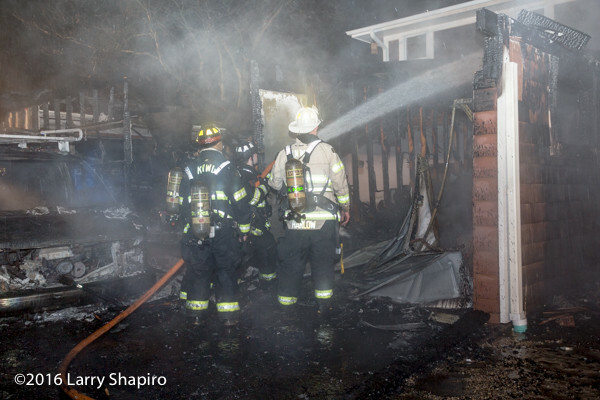 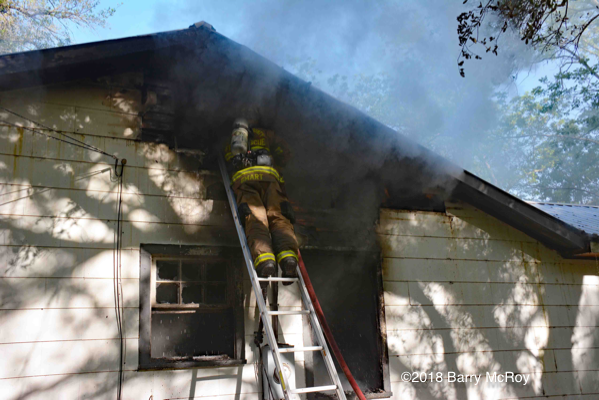 The fire was quickly extinguished without extension into the walls or ceiling. 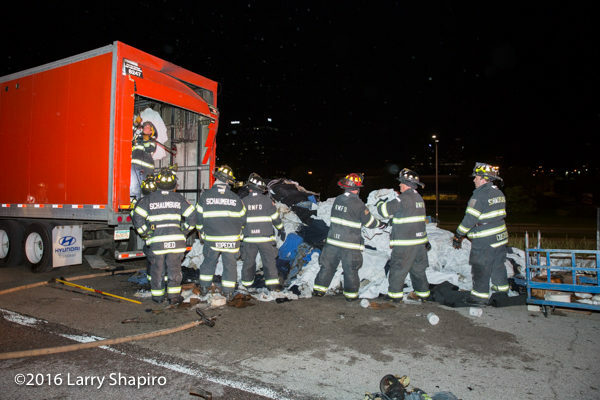 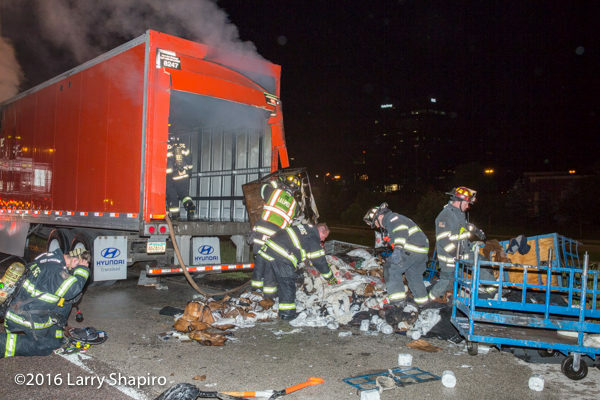 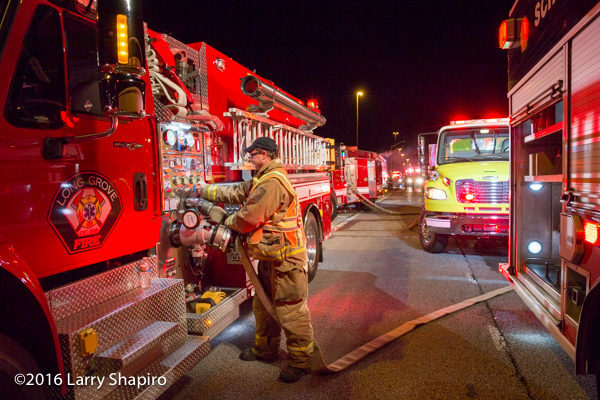 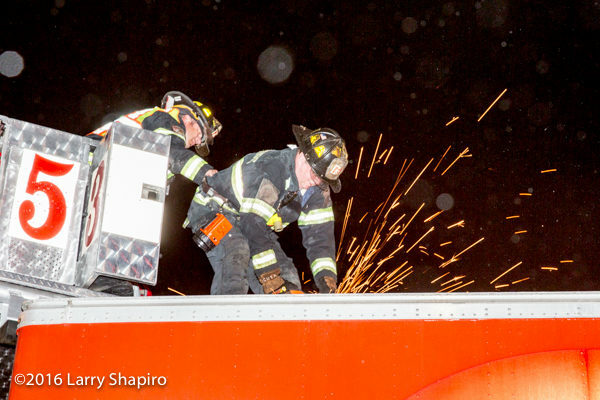 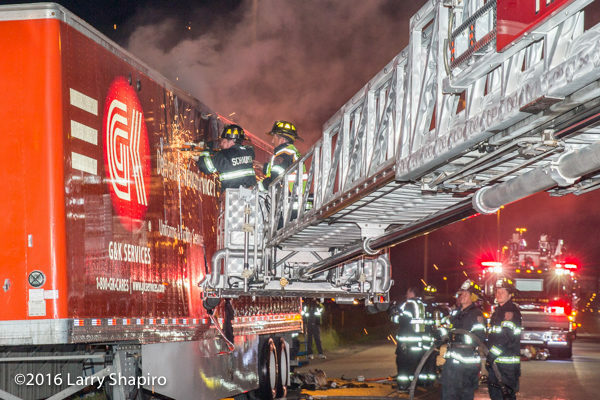 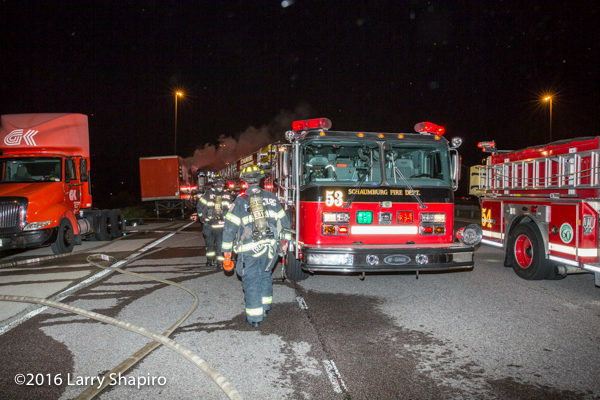 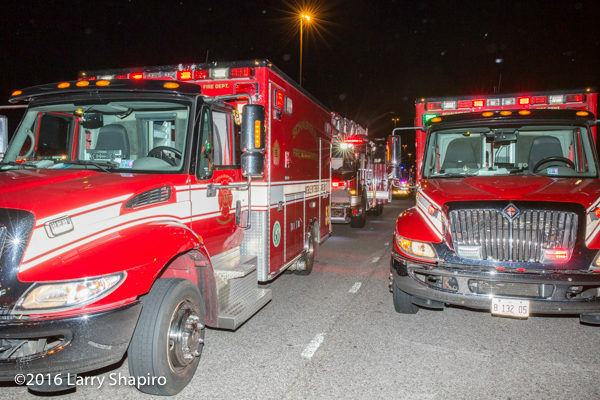 Schaumburg (IL) companies were sent to the SB IL Route 53 local lanes at I90 just after midnight on Wednesday (6/8/16) for fire in a semi-trailer. 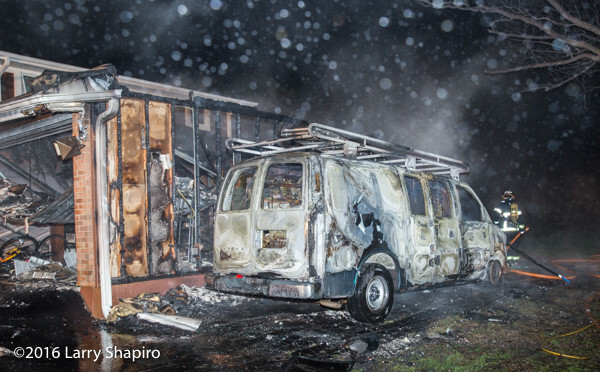 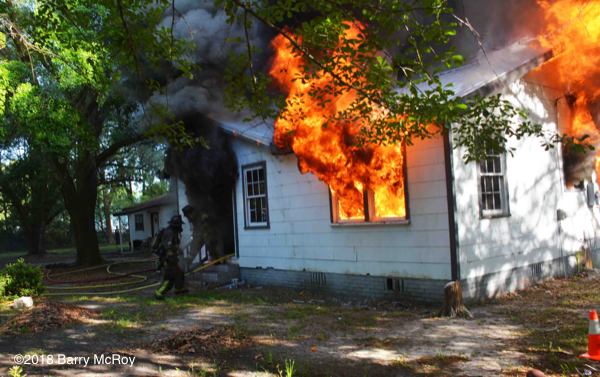 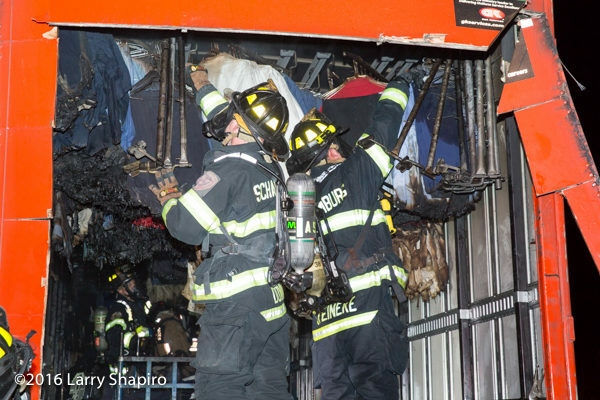 They encountered fire in a 40′ trailer that was fully-loaded with commercial uniforms. 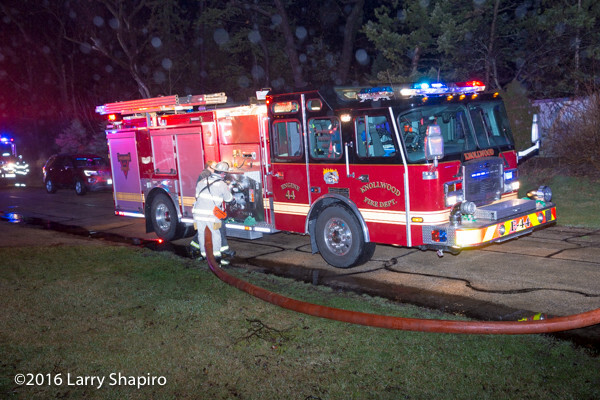 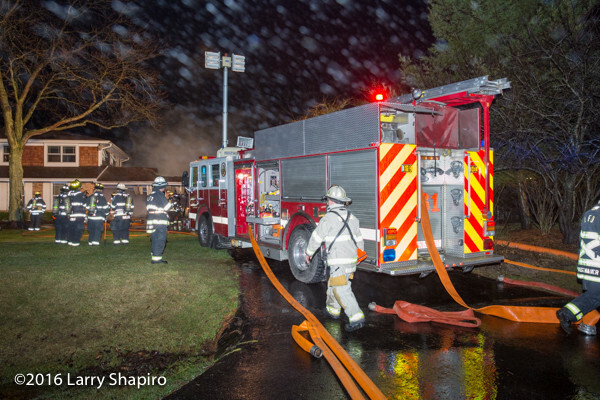 Battalion 5 requested two tankers from neighboring departments to supply Engine 52 with two lines off. 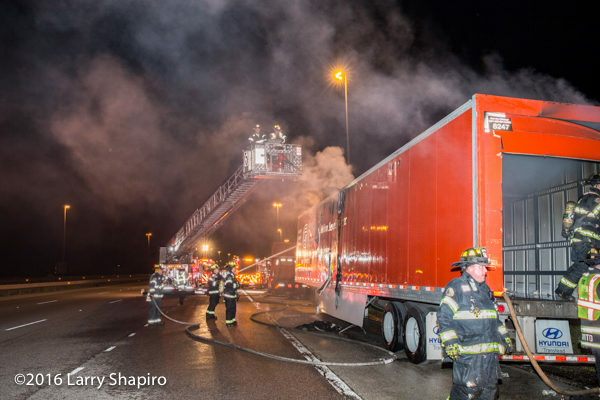 Units on the scene included four engines, two tankers, two trucks, one squad, one chief, and two ambulances supplying manpower during the almost two-hour process to remove the smoldering contents of the truck. 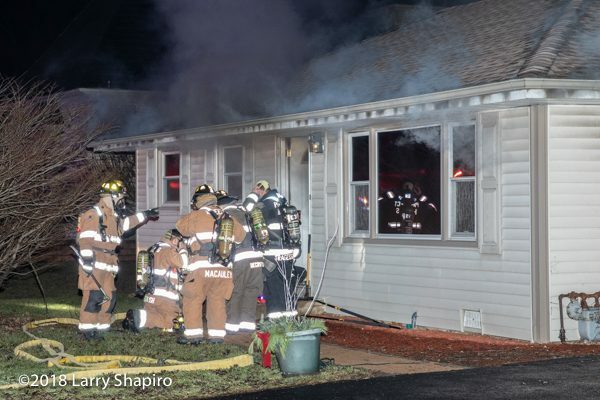 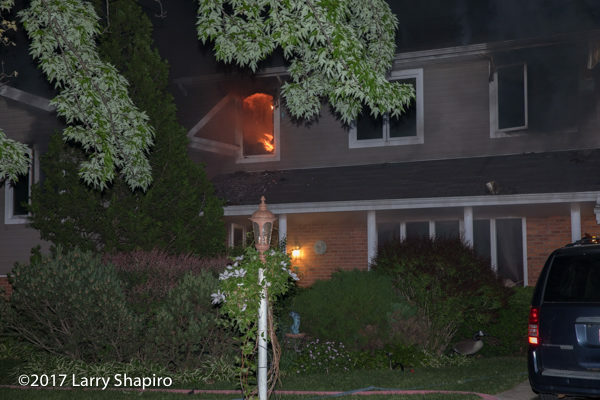 Libertyville (IL) firefighters were called to an address in Green Oaks (their fire district, an unincorporated area of Lake County) after a smoke alarm woke the resident. 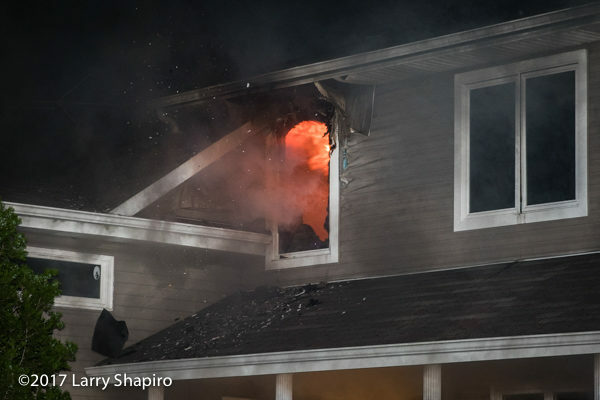 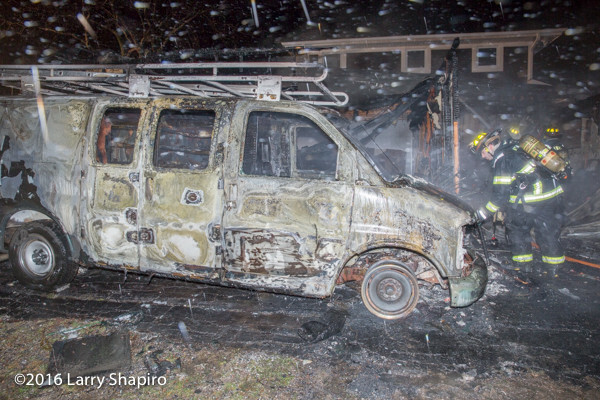 He looked out the window and saw flames from a van parked alongside the attached garage. 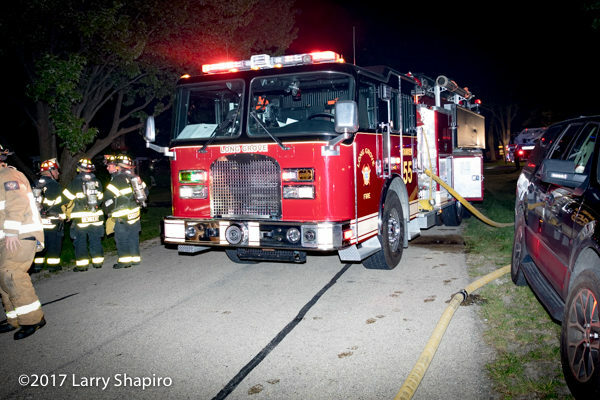 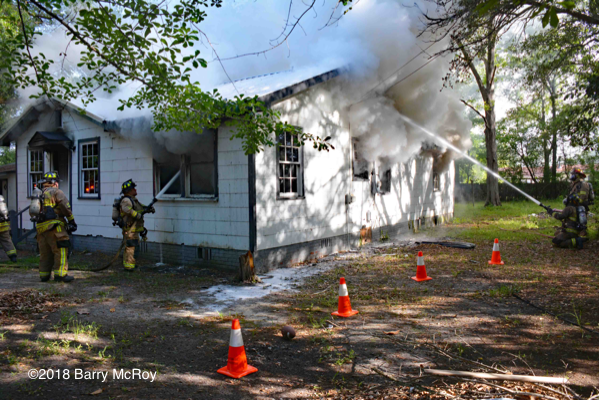 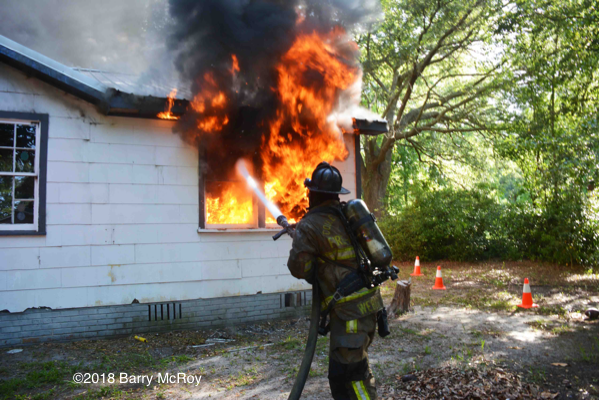 The first engine pulled into the driveway six minutes later and dumped the tank through a deck gun as flames were already through the roof. 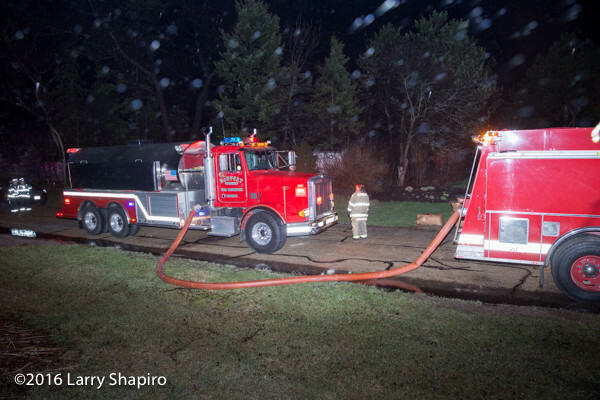 The area has no hydrants and they were subsequently nursed by their tanker and then other tankers shuttled into place. 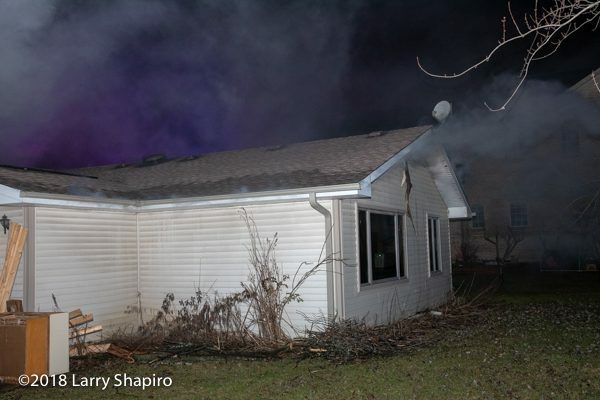 There were no injuries and the fire was kept from communicating to the house.